This question came up during my last stint as attending physician on the inpatient solid tumor consult service at my hospital—and it reminded me of discussions I used to have 25 or more years ago with the late Dr. Emil “Tom” Frei III. Dr. Frei was the Physician-in-Chief at the Dana-Farber Cancer Institute for most of my 15 years there, and, of course, he and his great friend, Dr. Emil “Jay” Freireich, were the fathers of combination chemotherapy. Their brilliance and courage opened the door to cures for cancers using systemic treatments, such as certain leukemias, Hodgkin and non-Hodgkin lymphomas, and germ cell testicular cancers. Dr. Frei constantly pushed us to think about why resistance occurs and how we might overcome it. These conversations re-emerged as I recently consulted on four patients who each uniquely illustrated the many reasons that we don’t cure cancers. Patient #1 was a 70-ish-year-old man with a long smoking history who presented a few years earlier to our cancer center with metastatic non-small cell lung cancer. His cancer was now refractory to the usual three or four different regimens of chemotherapy and attempts at targeted treatment. He was admitted to our general medicine service from home for transfer to hospice care. His case represents the paradigm that we all consider the main obstacle to a cure: biologic and molecular heterogeneity. It emphasizes the importance of ongoing basic and translational research to further understand the fixed genetic and plastic phenotypic changes that make these types of cancers so hard to treat once they have passed through a sufficient number of doublings to become clinically evident. The concept of tumor heterogeneity is not new. Virchow first described his observation of differences in the microscopic appearance of different cells in the same cancer 150 years ago. In fact, recognition of tumor heterogeneity was the basis for Dr. Frei and his colleagues to consider the use of combination chemotherapy: to attack the cancer with non-overlapping mechanisms of resistance and toxicities. Sadly, combination chemotherapy has fallen short for the five metastatic malignancies that are responsible for 90% of cancer deaths: bronchial, gastrointestinal, breast, prostate, and ovary cancers. Indeed, the concept of combination chemotherapy for metastatic disease in at least breast and prostate cancers has been pretty much shown not to increase cure rates or overall survival, and has been dropped in favor of sequential single-agent chemotherapies. The goal of treatment in these settings is improvement of quality of life, rather than cure. However, one wonders, with the advent of combination targeted therapies and the increasingly easier ability to monitor emerging genotypic and phenotypic changes using circulating tumor cells and plasma tumor DNA, might we give thought to a return to the idea of multiple, non–cross-resistant treatments in the near future? Not chemotherapy, but targeted treatments, so we are hitting the mutations from multiple angles. This is a good idea, and we should reopen this box! Patient #2 represented the vast majority of our patients with metastatic cancer. She was a 30-something-year-old woman with metastatic sarcoma. Like Patient #1, she developed chemotherapy-resistant cancer very quickly. Standard chemotherapy had failed to help her in any way, and she was in the hospital to receive a new, targeted treatment that required intravenous therapy within a phase I trial. Will she follow the course of Patient #1, as so many of our patients who participate in phase I trials have in the past, or will she be one of the lucky ones who hit the jackpot that we all dream of? Miraculous recoveries on early-phase trials happened with cisplatin for testicular cancer in the 1970s, in studies led by Dr. Larry Einhorn (who inspired me to go into oncology when I was a medical student). Wouldn’t it be great if this young woman gets to see her two beautiful young girls grow up? I doubt it will work out that way, but a fascinating abstract at this year’s ASCO Annual Meeting suggested that patients who participate in “targeted” phase I trials had better overall survival compared to those who were enrolled into non-selective studies like we’ve always done in the past. My job was just to oversee her infusion on behalf of our phase I and sarcoma teams. Nonetheless, the house staff and I all had the pleasure of getting to know this remarkable woman. Please let this drug be our next big breakthrough in overcoming resistance. Patient #3 has metastatic melanoma, and she was sufficiently fortunate to have been diagnosed in time to receive ipilimumab, very soon after its approval for this condition by the U.S. Food and Drug Administration. She was in the hospital for intractable mucositis and diarrhea after her first cycle, nearly leading to her death. One of the most exciting reports at the 2016 ASCO Annual Meeting was the observation that long-term follow-up suggests that perhaps as many as one-third of patients with metastatic melanoma who participated in the early trials of ipilimumab have remained alive and disease free, and—dare we say—“might be cured,” after a relatively brief induction treatment consisting of four or so cycles. A cure for metastatic melanoma? In my lifetime? That’s big news! In this regard, though, inadequate therapeutic dose and schedule—in other words, pharmacologic resistance—is another principle of antineoplastic therapy taught to us by Dr. Frei and his peers. Except for trophoblastic choriocarcinoma in women, one cycle of chemotherapy is insufficient to eliminate all cancer cells for most malignancies. Indeed, there appears to be a “sweet spot” of optimal cycles: somewhere between four and six for most curable cancers. Adding to this concept, multiple cycles of ultra–high-dose chemotherapy with bone marrow transplants may be more effective than a single course, as suggested for childhood neuroblastoma at this year’s ASCO Annual Meeting. Although I’m not sure how many cycles of immune checkpoint treatment are optimal to achieve the fantastic results reported so far, I suspect one is not sufficient. I worry about pharmacologic resistance for Patient #3—like so many of our antineoplastic treatments, the therapeutic/toxic ratio is quite tight with this agent. Will she be able to receive the rest of her induction therapy, and perhaps join the increasing legion of patients with metastatic melanoma that we might even consider cured? Or, rather than enjoying a cure, will Patient #3 be part of the traditional cohort of patients with metastatic melanoma who sadly pass away from this dreaded disease due to resistance, in this case, because we can’t get the treatment into her? Once again, I refer to Dr. Frei, who frequently taught us to “plow through toxicity if the [new] agent appears promising. We’re oncologists, we’ll figure out how to get around the toxicity if we need to.” Pharmacologic resistance! Even now, we see more success with combination checkpoint inhibitor therapies (again, as reported at this year’s ASCO Annual Meeting). We’re all going to have to take a page from Dr. Frei’s playbook and learn how to manage these toxicities. Patient #4 represents the first of two of the saddest reasons for resistance: socio-economic. We do cure cancers—many of them, just not enough—through proven treatment strategies such as surgery, radiation, and systemic therapies. But these treatments do no good if a patient will not or cannot access them. Patient #4 is a 50-ish and otherwise healthy woman admitted to the inpatient medicine service through the emergency department, where she was taken by her family for shortness of breath and diffuse pain. On the ward, she was found to have a large, fungating estrogen and progesterone receptor–positive breast cancer, with a malignant pleural effusion and widespread bone metastases. What happed? She did not bring her symptoms and physical findings to the attention of her family earlier for fear of the toxicities of our therapies. Rather, she hoped that so-called “alternative” or “complementary” treatments would cure her. I was asked to come arrange hospice care. off pain medications, and doing well. My point? Although I cannot guarantee she would have been cured, her odds of 10-year disease-free survival would have been 90% or more if only she had presented when her cancer was small and confined to her breast, so that she could receive adequate local and systemic therapy. In fact, it has become increasingly difficult to mount trials in the cohort of patients with ER-positive, node-negative breast cancer, because the event rate is so low! It is heartbreaking to see this particular mechanism of social resistance be the reason for incurability. This leads us to the final, and perhaps most disturbing, mechanism of resistance: economics. The cost of cancer care or the inability to access the medical system due to lack of resources is an all-too-common reason for this mechanism of resistance, both in the United States and abroad. Although the Affordable Care Act has brought several million previously uninsured Americans into the fold, millions remain outside the safety net. Even if a patient has insurance, copays make many of the therapies we recommend unaffordable. Elsewhere in many low- and middle-income countries, cancer treatment is simply unavailable except to the few wealthy patients who can afford it. While it is exciting to see the deluge of new, effective drugs that will help us overcome chemotherapeutic and pharmacologic resistance, we need to address the dilemma of cost and disparity of cancer treatment in a constructive manner. What do these four examples have to do with ASCO? The theme of my Presidency is “ASCO: Making a Difference in Cancer Care With You!” To help us make that difference, ASCO has programs that address each of these mechanisms of resistance. First, ASCO, through the Conquer Cancer Foundation, has made a huge financial commitment to answering the questions of biologic and molecular resistance, granting millions of dollars over the last several years to support young and mid-level investigators performing groundbreaking translational and clinical research. Furthermore, ASCO has advocated tirelessly to encourage Congress to continue to adequately support federally funded research of all types that affect biomedical issues in general and cancer specifically. ASCO, through CancerLinQ™, will provide the world’s most highly curated and granular clinical oncology database for big data research. In addition, we have now launched our first self-run clinical trial, the Targeted Agent and Profiling Utilization Registry (TAPUR) Study, designed to determine the activity of genomically driven off-label use of already approved drugs. 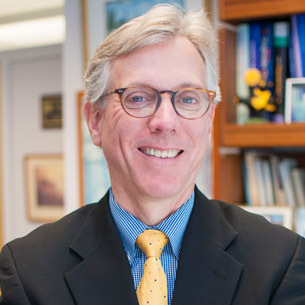 Second, in regards to the social and culturally driven mechanism of resistance, ASCO has devoted enormous effort to provide patient-directed educational material through Cancer.Net, in part to dispel myths related to unproven therapies that may keep patients from seeking legitimate, scientific, evidence-based care. Third, ASCO plays a major role in advocating for access to care in many ways, including reimbursement and health care reform, to be certain that patients who need life-saving treatments and care can receive it. Moreover, ASCO’s Diversity Strategic Reform Plan is designed to overcome disparities for populations that may not have access to care at present. ASCO is your Society, and with your support we will continue to fight to overcome all mechanisms of resistance. We will pursue our vision of “a world where cancer is prevented or cured, and every survivor is healthy,” and to accomplish our mission of “conquering cancer though research, education, and promotion of the highest quality patient care.” I think Dr. Frei would be proud.